Six farmers filled out applications by the Oct. 31 deadline telling the county they would like their property to be considered for inclusion under the county’s reconfigured farmland protection program. Five of the six farmers already had their property on the list of 32 farms under consideration by the Partnership for Farmland Protection, the citizen group that ran the county’s farmland protection program until the Board of Commissioners appointed its own review committee on Aug. 6. Earlier in the summer the Board of Commissioners turned down a near-certain $175,000 in federal funds available to it for farms on the Partnership list. Had it nominated one of the five farms that applied for consideration under the new screening procedures, the county, in partnership with the Athens Land Trust and the federal government, already would be in the process of protecting the farm from future development. Selection of one of the six farms that applied is several months away, given the current schedule, and there is no guarantee that the federal funds needed to make the program work will be available. The only one of the six farmers who is new to the list created by the Oct. 31 application process had been in discussion with the Partnership for Farmland Protection about adding her farm to the list, according to Russ Page, a member of the Partnership and an outspoken advocate for farmland protection in the county. County Agriculture and Natural Resources Extension Agent C. Monte Stephens, to whom the farmers submitted their applications, told me on Nov. 7 that he will pass the six applications “in the next few weeks” to the selection committee chosen by the Board of Commissioners. Stephens said he expects the county’s five-person selection committee will start its deliberations in January. The Farm Bill, which historically has included funding for farmland protection, is stalled in Congress, and the county does not have adequate funds of its own to protect more than a tiny part of any of the farms that have applied for the program. Reuters reported last week that House and Senate negotiators have not yet met to start working on the new Farm Bill. Deliberations on the Bill have been delayed by House Republican plans for steep cuts in food stamps. Funding for food stamps historically has been part of the Farm Bill. Stephens told me on when I talked with him by telephone on Nov. 7 that six farmers had submitted applications, but he said I needed to file an open records request to actually see the applications. I filed that request that evening and was given the applications last Wednesday (Nov. 13). According to Page, only the farm of Violet Dawe is not on the list of the Partnership for Farmland Protection. Dawe, Dawson and Rollins attended a meeting the county organized on Oct. 17 to inform county farmers about the new procedures for applying for county funds for farmland protection. The county, working with the Partnership and with the Athens Land Trust, purchased easements on land owned by Ricky and Kay House in 2005 and 2007. The easements guarantee that part of their land must be kept in a rural state in perpetuity. Page told me in a telephone conversation on Wednesday that the Partnership also had selected the House farm for funding a third time but did not put the farm forward to the county after commissioners expressed concern about returning to the same farm to protect additional acreage and stated a desire to fund a farm in the northern part of the county. These concerns surfaced on Oct. 11, 2011, when Page and Laura Hall, conservation director at the Athens Land Trust, presented the BOC with a list of possible farms and asked it to make the final selection. The Board could not agree on a farm. On May 7 of this year, the Board of Commissioners did vote to spend $87,500 to place a protective easement in perpetuity on a 43-acre farm owned by William D. and Kathy H. Shelnutt, 2811 New High Shoals Road west of Watkinsville. Commissioner John Daniell has been outspoken in his criticism of the Partnership for Farmland Protection, saying that the process was not transparent. Daniell voted against funding the Shelnutt farm easement, saying he didn’t want the county to fund any more farms for protection until it had a selection committee of its own in place. Daniell has said there is dissatisfaction in the county over the procedures used by the Partnership, though he did not identify any critics. No one has ever spoken out publicly criticizing the program. Though Daniell initially raised the concerns, it has been BOC Chairman Melvin Davis who has been most aggressive in changing the process. On April 18 and May 22, he held two by-invitation-only meetings to develop a new procedure and new standards for selection of farms. Such meetings run counter to the state’s open meetings law, which stipulates that meetings of governing bodies and any “agency” of the governing body at which “any official business, policy, or public matter...is formulated, presented, discussed, or voted upon” must be advertised and open to the public. 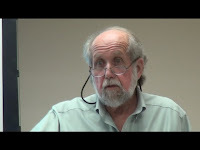 At the July 30 meeting of the BOC, Davis summarized what had taken place at the April 18 and May 22 meetings, as shown in the short video below. Davis said the people involved in the invitation-only meetings–he called them a committee–developed the criteria for selecting farms, made recommendations for members of the ranking committee and set up a schedule for selection of the farm. No official record of attendees of the two meetings exists, though Commissioner Mark Saxon has indicated he attended both. The participants at the May 22 closed meeting decided to use the same standards in selecting a farm under the new procedures as the Partnership for Farmland Protection had used in the past. In both cases, the criteria are taken from the federal government. The BOC, largely following Davis’ suggestions, appointed the five people to serve on the selection committee at the Aug. 6 meeting. The BOC named Henry Hibbs, chairman, with Mac Hayes, Sam Mitchell, Bob Isaac and Keith Odom as members. Hibbs is a retired county extension agent. Mitchell’s farm was protected by the program in 2006. Hayes is a retired federal agriculture agent. Odom is a member of the cattleman’s association, and Isaac, is a retired associate dean of the University of Georgia College of Agricultural and Environmental Sciences. According to Page, Hibbs has been involved in the Partnership for Farmland Protection but has not been an active member. Mitchell has been a part of the Partnership since his farm was selected in 2006, Page said. The other three have not been involved in the Partnership. The county advertised the Oct. 31 deadline for applications on its web site and said that the selection committee will “rank the applications” for consideration by the Board of Commissioners in January. How that would work remains unclear, since the National Resources Conservation Service (NRCS), the unit of the Department of Agriculture that runs the existing Farm and Ranch Lands Protection Program (FRPP) and is likely to run any future program, dictates dates and sets standards on farmland eligibility. The criteria could even change if Congress approves a new program. Both the House and Senate versions of the Farm Bill contain a farmland protection program that is a merger of several existing programs, including FRPP. The central element of FRPP is that the farmer sells an easement for her or his land that prohibits development. The Athens Land Trust has partnered with the Partnership for Farmland Protection and the county to draw up and hold the easement in the past. Page told me that the Partnership for Farmland Protection, formed in 1998 by citizens of the county concerned about the loss of farmland, included from the beginning both representatives of NRCS and the Athens Land Trust. Announcements and applications for the program were placed on the American Farmland Trust web site and were available at the local NRCS office in Watkinsville, Page said. NRCS staff would put together the required mapping for farmers and help them create crop records, both of which are required for federal funding, according to Page. Page said the local NRCS staff “know the farms in the county inside and out” because of the staff’s work with the farmers on various federal programs, including ones that help farmers fence cattle to protect state and federal waters, develop irrigation systems and get permission to build farm ponds. “We knew all of the farmers interested in the program,” Page said. “A committee without the USDA and the Athens Land Trust doesn’t make any sense,” Page said. The BOC has created just such a selection committee. Page said in the past four or five members of the Partnership for Farmland Protection would agree to rank the farms. That group always included someone from the Athens Land Trust as well as someone from NRCS, he said. Once the farms were ranked, the Partnership would visit all of the farms ranked. “We talked in great depth to the farm owner about what the program was going to mean to them,” Page said. Farmers have to agree as part of the federal program to get appraisals of their land, surrender part of the value of the land without compensation, and make a contribution to the Land Trust to compensate for its work drawing up and defending the easement. The Partnership took its top-ranked farm to the Board of Commissioners after the selection committee had made its choice but before the Land Trust had drawn up the easement, according to Page. When the federal government announced the availability of funds, the Partnership, Land Trust and county had 45 days to submit the paperwork, Page said. The whole process from farmer application to the Partnership to actual filing of the easement could take up to two years, Page added. NRCS and the Athens Land Trust have been happy with the process. Sharon Holbrooks, conservation easement specialist with the Athens office of NRCS, told the commissioners in a meeting with them on April 23 that she considered the Oconee County program a model. Holbrooks said she returned the unspent money from the last round of federal funding to Washington only after Oconee County decided not to put forward a farm for funding. Nancy Stangle, emerita director of the Athens Land Trust, said at that April 23 meeting that her group was very pleased with the program and wanted to work with the county in the future. Daniell, joined by other commissioners, have said that the Board of Commissioners was kept in the dark about the selection of farms under the old procedures. Page agreed with that characterization.